Hedge trimming is a specialized job. Very large hedges are impressive but only if they have been professionally trimmed. 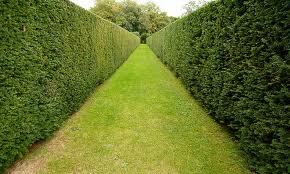 It is actually rather difficult to trim hedges keeping them perfectly straight. We are able to perform this task by using precision leveling equipment and an expert team of trimming professionals. Do not risk destroying the aesthetics of your property by hiring people who are not experts.